Could you share us the form that you wanted to add a page break? That would help us give you a working CSS code. Here is the embeded link, is this what you need? Here's a cloned form that I made with the edits: http://form.jotformpro.com/form/52490956612965?. Try pressing CTRL+P to view the print preview. 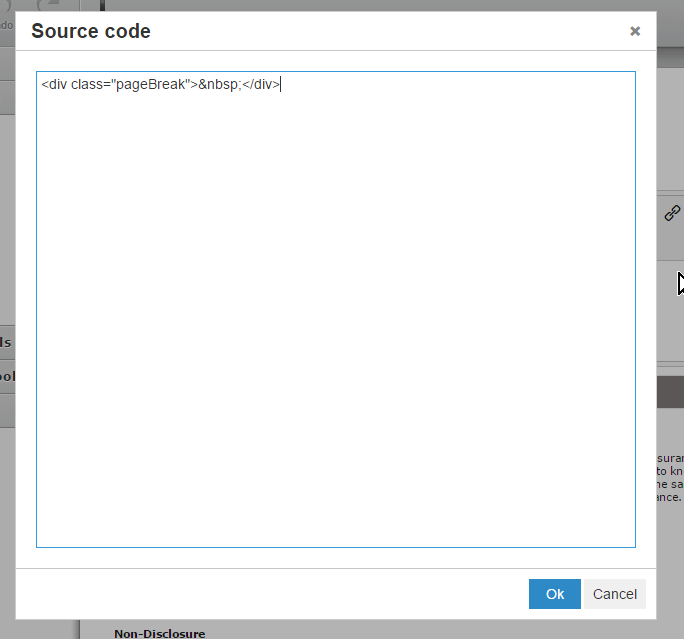 Here's the source code of the "Text" field. Now create a duplicate of that text field and add or position it in the sections where you want to add a page break. In my case, I added it just above the "Insured", "Duty of Disclosure", "Cancellation & Abandonment Insurance", "Property Insurance" and "Declaration". You can try cloning my form to see how I set it up. I will try that now, thank you. Thank you very much for your help, the form page breaks work now. I appreciate your help very much, thanks again. You are very much welcome, David. If you needed any assistance again, please do not hesitate to open a new thread here in the forum.